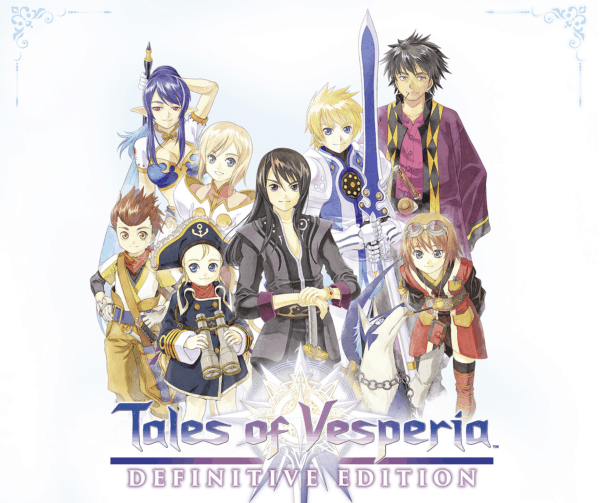 The original Tales of Vesperia was one of my gaming white whales when it originally released on the Xbox 360. I purchased the game and played around half of it but then I got overwhelmed with all the side content and lost where I was even supposed to go in the game. Thankfully that didn’t happen during my playthrough this time. as I played this version but you can clearly tell this a game from a somewhat different era. From a story perspective, Vesperia is one of the best Tales games. However, I’m saying this without having played every single one of them. 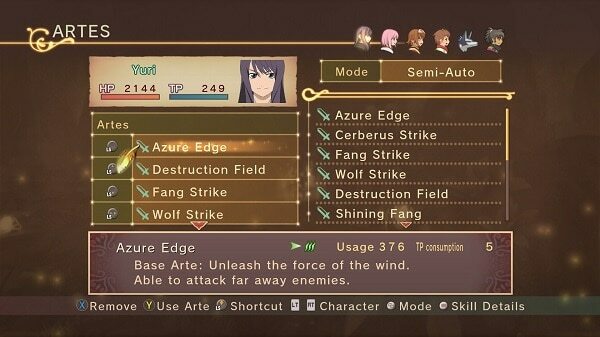 First, the thing I like about Vesperia is that most of them have normal names. Yuri, Rita, Estelle, Judith, Karol these are all names that I’ve heard outside of video games. There’s no really weird ones like Laphicet ( Berseria), Sorey (Zesteria), or Muzet (Xillia). 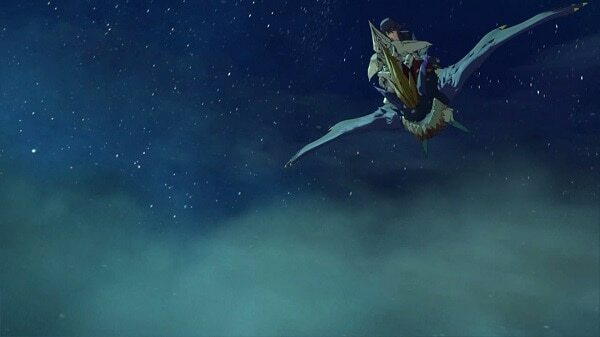 The only one you could make a case for is Repede. Although he’s a dog, and people have certainly given their pets weirder names. As for the actual story, it’s pretty solid. Yuri is a pretty classic anti-hero but is still heroic. He joins up with Estelle, a princess with a lot of power, Karol, a young hunter, Rita, a talented mage, and Judith, a dragon rider, and they all have some adventures. 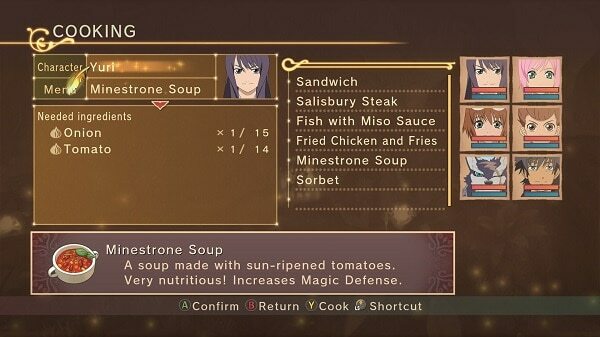 To be honest, the actual plot of Vesperia is a tad schizophrenic. You’re introduced to bad guys, take them out, and then an even worse bad guy shows up who reveals he was pulling the strings for a while. That’s not to say it’s bad at all, it just meanders for a while and takes a really long time to get going. The combat is probably one of the ways the game hasn’t aged that well. You have a melee attack button and an arte (magic) button. You can change the properties of these attacks by holding on to a certain direction on the analog stick. So holding up means you’ll do upward attacks, holding down does downward attacks, and so on. This also works for artes as well. But you can map up to eight artes to certain directions, (four per analog stick). Artes also evolve with further use and offer a lot of variety as well. There’s plenty of depth for those that want to really dive in between Mystic Artes and Fatal Strikes. However, this is just the basics. The reason the combat hasn’t aged well is because of the presentation. You are in a 3D combat environment but generally locked to a 2D plane when attacking. There is a button that you can hold down to activate 3D movement, but doing this disables your directional attacks. So it isn’t something you can do all the time. Although you’ll probably only use it for defending in boss battles. Ultimately, this just feels weird!. You’re either locked to the 2D plane where enemies can (and do) gang up on you from all sides, or you can evade them by running around but then you don’t have access to as many powerful attacks. It definitely takes a while to get used to, but also is very limiting in a way that I didn’t like all that much. There are two other systems that make this game feel outdated: the map and the inventory. The world map is barely helpful and only shows you visitable locations. However, it does not give you any kind of indicator on where to go next. Yes, the story gives you a general sense of direction, or if you skip scenes, an in-game journal can bring you up to speed. But there’s no dungeon map or waypoint marker to point you in the correct direction. I eventually figured out where I needed to go for places that were not super obvious, but something indicating the next story beat would have been nice. Along with that, there is a weird quirk with the inventory system. You can only hold 15 of any consumable item at once. So, let’s say you want to buy every Life Bottle (Phoenix Down) from the store, you can’t because you can only hold 15. Once you beat the game, you have the option to boost your inventory up, but this is still a pretty bad system. Most RPG’s even of an older era let you hold up to 50 or 99. 15 is ridiculously low. 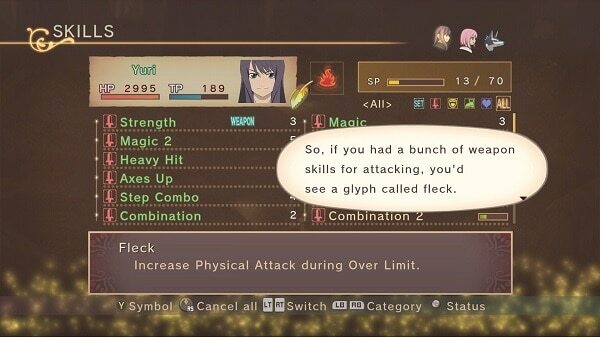 Leveling up in Tales of Vesperia is has an interesting two-fold mechanic. Your weapons have various skills on them like Guard or Backstep that become available to use while the weapon is equipped. By continuing to equip the skill, you’ll gain proficiency in it as you battle. Eventually, you can learn the skill permanently, which means you can then equip a different weapon and still keep that skill. When characters level up, aside from gaining some small increases to your HP and TP (magic), they gain skill points. For the skills you gain through weapons, you can turn them on or off in a menu, provided you have enough points to use them. Say you want to have Taunt and Item Thrower on, Taunt requires 2 points and Item Thrower requires 7, but you only have 8 points available, you’ll have to pick and choose which is the more valuable skill to have. Also, some skills add active abilities like said Backstep or Combination. While others are more passive bonuses like adding damage to your attacks or increasing your magic ability. There is a lot to do aside from battling and leveling. Synthesizing is important as well. Here, you can make new items and better weapons for your characters. There is also a cooking system where you can gain temporary buffs from eating meals, assuming you don’t fail at making them. Finally, there is plenty of side stuff to do, if you want to partake in it. There are special monsters to hunt down, a secret casino to visit, a mini-game involving your dog party member peeing around the world, etc. If you mainline the game, you’re still looking at a 30 to 40-hour JRPG, but with the extra stuff, it can double that time. What Makes This a Definitive Edition? Obviously, this game certainly looks better than the old 360 version. It is sharper and the framerate is a lot faster too. The problem is the audio in the game. 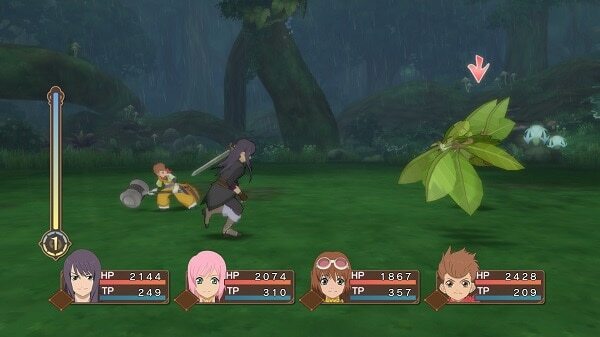 This version of Vesperia uses the PlayStation 3 version of the game as its base for the upscale. The PS3 version only came out in Japan, so it never got translated or had voice acting from the American actors. So, there are some inconsistencies when going from an originally voice acted scene to a new one, because the actors are different. Most of them do match up reasonably OK but the actor they got to replace Yuri (originally played by Troy Baker) really sounds different and it is very noticeable. 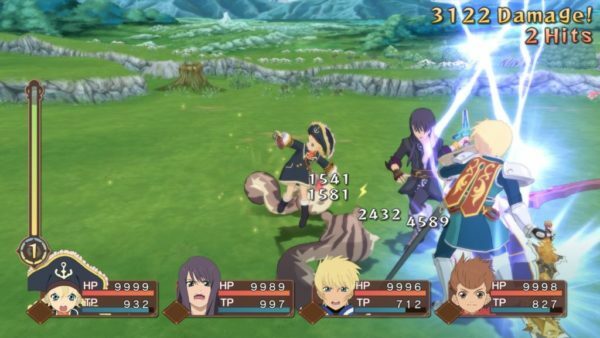 Overall Score: 8.0 out of 10 Tales of Vesperia: Definitive Edition is still a great JRPG. The “definitive” part could have used a bit more work, but the updates it does add are solid and bring quite a bit to the overall game. 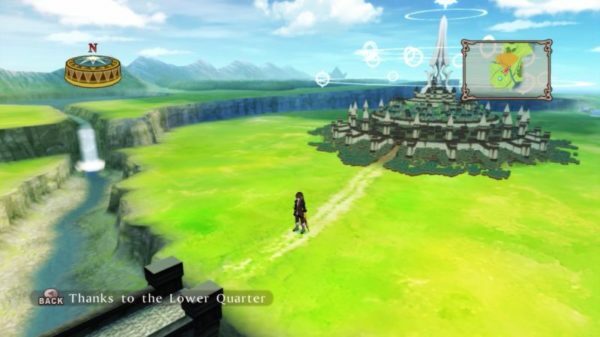 Vesperia itself hasn’t aged too badly, which is fairly impressive considering the game is over 10 years old. It may not look very flashy, but it is still a memorable and fun game to play.